The day before he died President John F. Kennedy and his wife, Jacqueline, arrived at the Rice Hotel in Houston, Texas, taking a room freshly remodeled for their short stay. They had three and a half hours to rest and dine together before heading out for two evening appearances and the day’s end. Jack, sitting in a rocking chair, wearing just his shorts, worked on a speech and doodled on a sheet of hotel notepaper. The next morning, with the president and first lady in Dallas for their motorcade’s nightmarish turn past the book depository, the Rice Hotel housecleaning staff found the doodle the president had left in his room. It was a simple pencil drawing of a little sailboat, beating through the waves. Jack Kennedy often drew such sailboats during White House meetings or while on the phone. Sometimes, he put a gaff rig on the mast, like the one on the Victura. Somewhere in their minds, throughout their lives, Jack and his brothers and sisters were always at sea. Sailing influenced how they thought, how they competed, the content of public speeches, how as a family they celebrated happy events or managed grief, how they grew close to one another. Of the nine children of Joseph and Rose Kennedy, the ones most influenced by and enamored with sailing were Jack; his older brother, Joe; and their younger siblings, Ted, Eunice and Robert. When they were young, sailing was a topic of ongoing earnest discussion, sometimes led by their father. They would constantly ask one another, What made us lose a race? What gear needed replacing? At what cost? What sailing instructors should we hire? What kind of sails? How do we launch the spinnaker faster? Who can we get to crew? How fast the wind and how high the waves? As they grew older and moved into independent lives, they always came back to sailing, coordinating return trips to their seaside Cape Cod home, sometimes arranging their lives around regattas, making time for a sail every day. Their children and grandchildren were still doing the same eighty years after they first went for a sail on Victura. When Robert’s young wife, Ethel, joined the family, she perfectly blended in, not least because she brought her own love of sailing. Jacqueline, enamored less with the races and more with sailing’s beauty, wrote poetry about and drew pictures of sailboats years before she met Jack. Whatever the lofty position a Kennedy held, helicopters, airplanes and motorcades all eventually pointed back to Hyannis Port in time for sailing races. 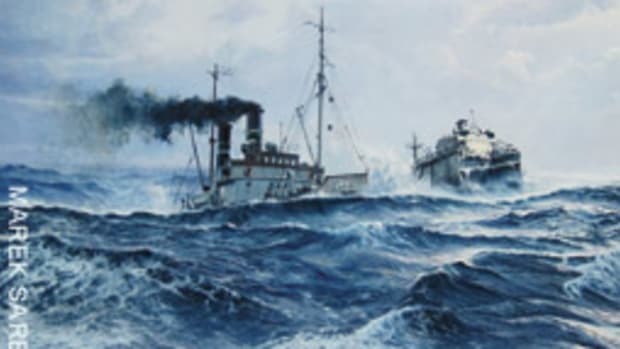 Once together at sea, the Kennedys riveted their attention on the race or, if just cruising, spent hours in conversation while watching sunsets; worrying over storm clouds; taking drenching waves over the gunwale; shivering, almost hypothermic; holding soggy sandwiches pulled from the cooler. Older Kennedys taught younger ones. They grounded their boat on sandbars, at least once crashing into a buoy. 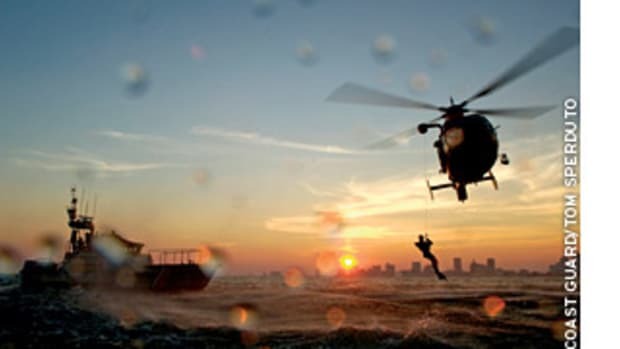 They thought nothing of jumping into the water if necessary to lighten the load and speed the boat. They yelled when mistakes were made, punched one another even, laughed about it afterward. The stronger the Cape winds, the whiter the whitecaps, the better. They took friends out who became lifelong pals after passing tests of seaworthiness or camaraderie. 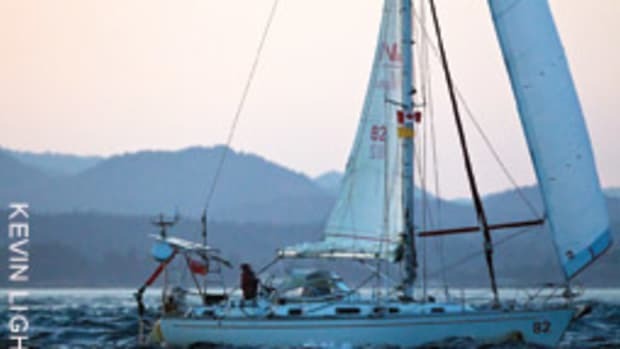 Once they became parents, they used sailing to connect with their children, including nephews and nieces whose fathers were lost. They learned seamanship and survival skills, which they swear saved Jack’s life in World War II. Sailing, they said, gave their lives perspective and helped them explore how to cope with the complexity that comes with being a Kennedy — the privileges, the attention and the “buzz saws of life.” They sailed at night too, quietly taking in the infinite stars, distance, space and horizon, and said it gave them insights into life’s mysteries. “Sailing, for me, has always been a metaphor for life,” wrote Ted in his memoir, True Compass, written eighty years after the family first summered in Hyannis Port. 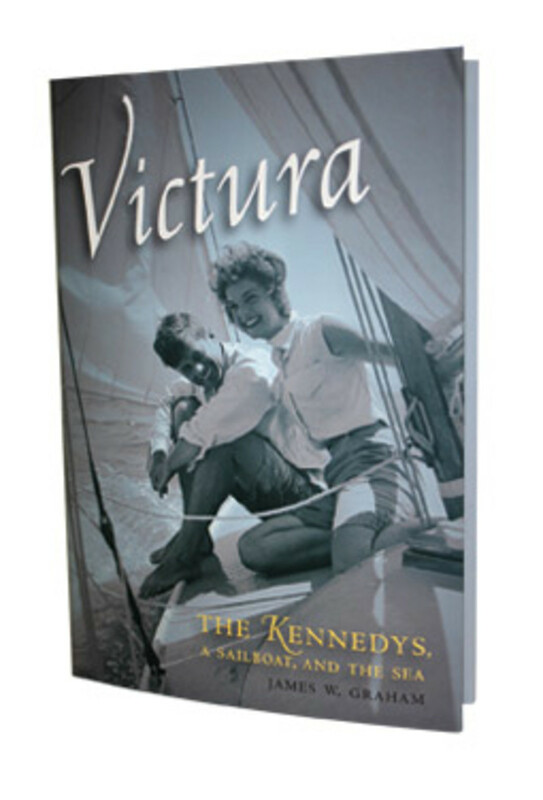 The family had many sailboats, but the favorite was Victura. They kept it the longest and sailed it most, over almost fifty years. It was wooden and modest in size, twenty-five feet in length, spare of accommodation and gaff rigged, a sail configuration thought quaint today even though folks still say the shorter mast height prevents a knockdown in a gale. About two hundred one-design Wianno Seniors identical to Victura have been built for families like the Kennedys who summer or live on Cape Cod’s South Shore. Thus they fairly compete on boats of equal specifications in races around Nantucket Sound. That Victura survived so long, a small boat in such big seas, is surprising itself. Acquired in 1932, struck by lightning in 1936, dragged onto the beach by war-injured Jack during a hurricane in 1944 and nearly lost in a 2003 harbor fire that took twenty other sailboats like it, Victura once sprung a leak and started sinking beneath Ted’s aging and none-too-small size, as the senator resignedly watched boats in the race pass him by until he could get a tow. After they gave Victura to a museum, they bought a new Wianno Senior, called it Victura too and sail it to this day. Jack did not know his stay at the Rice Hotel was his last day on Earth, but his thoughts went back to the Cape and the sea that night because that is where Kennedy minds always drift. 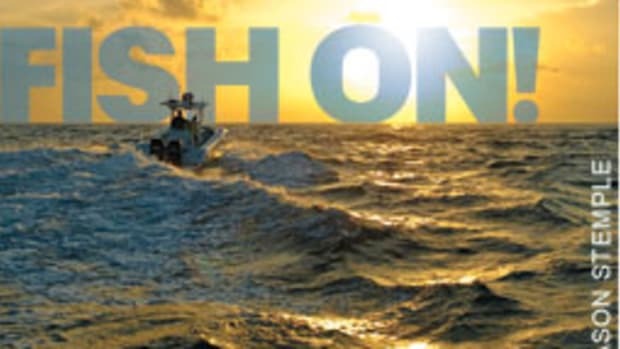 All through his life Jack was sick with one illness or another, but sailing freed him, filled his lungs, tanned his skin when it was ashen or yellow, separated him from worries ashore and gave him seclusion with family and friends. Robert, a less accomplished sailor who married young and had less time for racing, still loved taking his children out on the water. Before he died at forty-two, after fathering eleven children, he bought a “sister boat” to Victura and called it Resolute. For years following Robert’s death, when the weather was warm enough, and even when it was not, his surviving family sailed Resolute almost every day. Brothers, sisters and nephews of Jack bought Wianno Seniors, so Victura and Resolute begat Headstart, another Victura and Ptarmigan. These begat Santa Maria and Dingle. Ted, perhaps the most dedicated — some might say obsessive — sailor, lived a long life of ups and downs, the opposite of the short lives of Jack and Robert. They rose together on a steady and uninterrupted path to the White House, but Ted lived almost as long as the other two combined, beaten down by tragedies, some fated, some self-inflicted. Sailing reminded Ted to keep plowing onward, no matter the wind or current or competition. The younger Kennedys picked up on that. The daughters of Joe and Rose Kennedy had less family pressure to achieve political success, for theirs was an era of male primogeniture, but Eunice grew up to be as forceful and effective a leader of social change in America as her brothers. Perhaps not so coincidentally she was also among the most accomplished sailors. Over the years, the images of the Kennedys at sea defined the family brand and gave birth to the Kennedy myth. 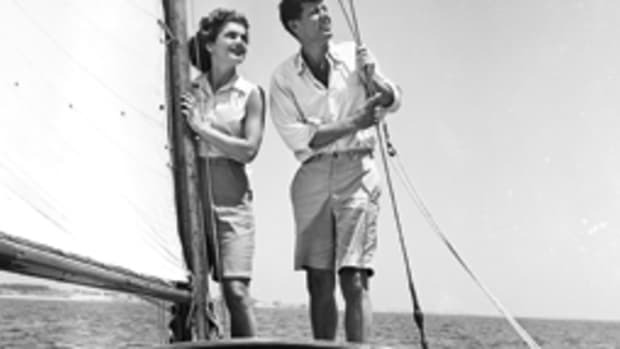 Kennedys under sail were the picture of adventurousness, wholesomeness, vigor and family. They commanded the elements and the political world. Jack Kennedy’s Navy experience in World War II became an epic tale of seafaring heroism, retold throughout his political career. A 1953 Life cover photo of Jack and Jacqueline on the bow of Victura, along with their larger storyline, presented them as beautiful, privileged, sophisticated, glamorous and destined for something great. Media forms like television were fast evolving and multiplying, their effects just being understood, and Jack and Jackie were well cast for the new era. As Robert and Ted grew older and entered the picture as politicians themselves, they had children who took to the sea as had their parents. The image of the Kennedys at sea became affixed in public consciousness for the rest of the twentieth century and into the next. The story of Victura, more than the tale of a small sailboat, is a story of a steeled family and uncommon upbringing in a particular time and place, under specific circumstances, some created with deliberateness by parents who had the means, some shaped by world events and accidents of fate. All of these combined to deeply influence the lives of a few extraordinary people who, more than most, helped define America in the second half of the twentieth century. From these circumstances grew the Kennedys and all they became. Always integral to it all was a simple, small sailboat, Victura. The story of Victura is a story of the power of shared experience. Families and friendships are not made strong by genetics or chance but by time spent together in common purpose. The Kennedys enjoyed one of the few sports where members of a family could compete as a team — gender, age and physical strength notwithstanding. They raced together, or set a compass for distant Nantucket together, and they made it there together, strategizing, suffering the cold or enjoying the sun, talking about other topics, each with something to contribute. A family can get much the same experience if they farm together or build a house together or hike the Appalachian Trail. It’s the shared experience, intentionally arranged by the parents, that brings families closer. Kennedys did not just sail together but also dined together with purposeful intent to have intelligent and enjoyable conversation. They made a simple poem about an ancient mariner a part of their shared heritage. Many families make little intentional effort to create shared experience, and they are weaker for it. At Ted’s funeral, two sons, one nephew and one lifelong friend eulogized him by telling stories of the Victura. Every big family has funerals to attend, but they have been particularly numerous for the Kennedys in recent years. Services are typically at Cape Cod before noon, leaving the family an afternoon to be together. Niece Kerry said that in recent years, without a conscious effort, another family tradition has emerged. 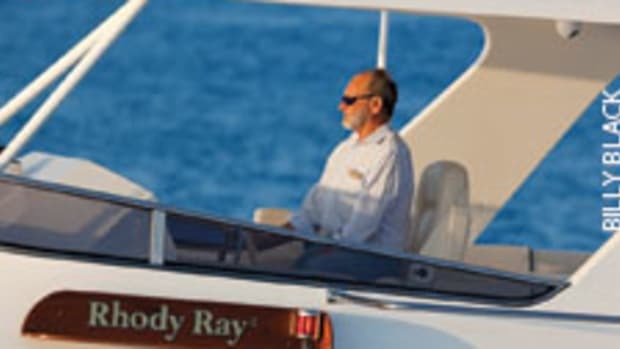 After the funeral, they usually go sailing, typically on the bigger boats so they can all be together. 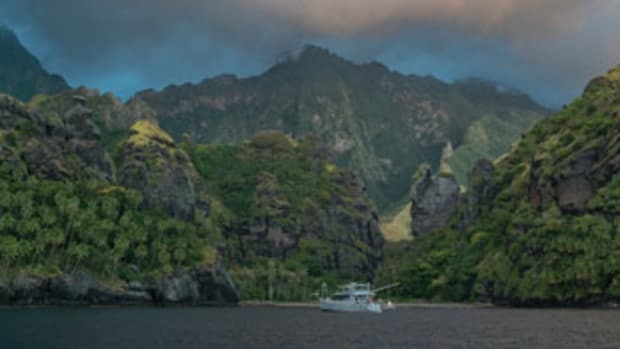 I lay on the bowsprit, facing astern, with the water foaming into spume under me, the masts with every sail white in the moonlight, towering high above me. I became drunk with the beauty and the singing rhythm of it, and for a moment I lost myself — actually lost my life. I was set free! I dissolved in the sea, became white sails and flying spray, became beauty and rhythm, became moonlight and the ship and the high dim-starred sky! I belonged, without past or future, within place and unity and wild joy, within something greater than my own life, or the life of Man, to Life itself. To God, if they want to put it that way.